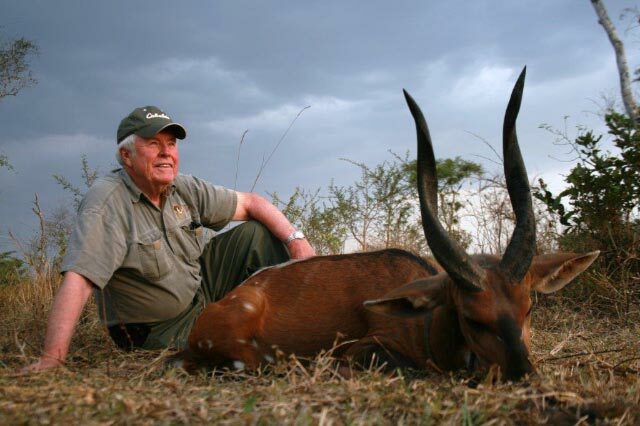 NOW JOHN PEARSON REALLY HAS DONE IT ALL! 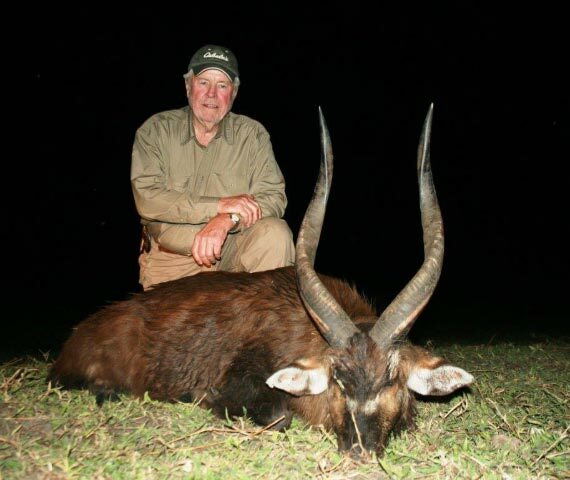 Worldwide hunter John Pearson capped his extensive hunting career with an impressive list of species while hunting with Uganda Wildlife Safaris, including East African Sitatunga above and Nile Buffalo below. 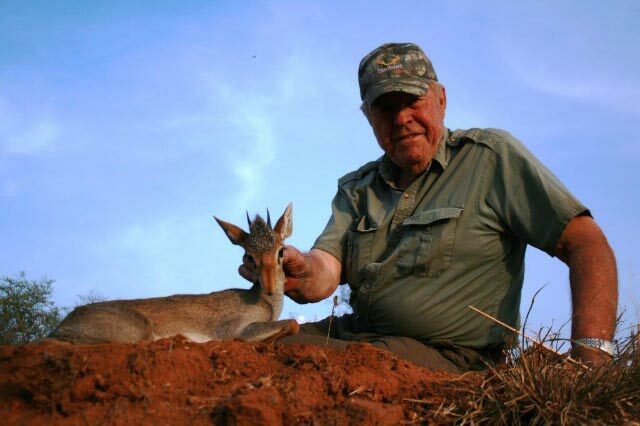 John's PH was Pieter Symington, who also led John to the other species that he wanted: Guenther's Dikdik, Nile Bushbuck, Defassa Waterbuck and more. 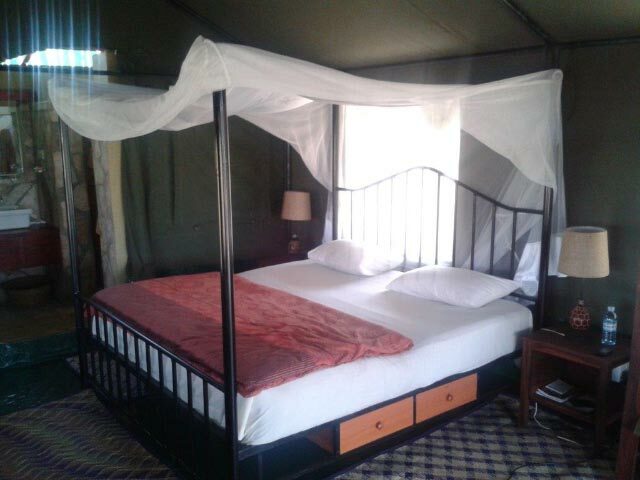 Uganda Wildlife Safaris offers a fly camp option as well as a lodge option with private accommodations. 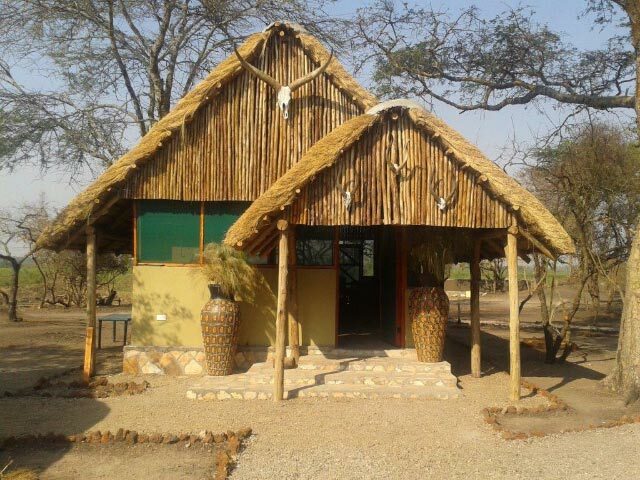 With lodging in the middle of prime habitat, John chose the lodge option. 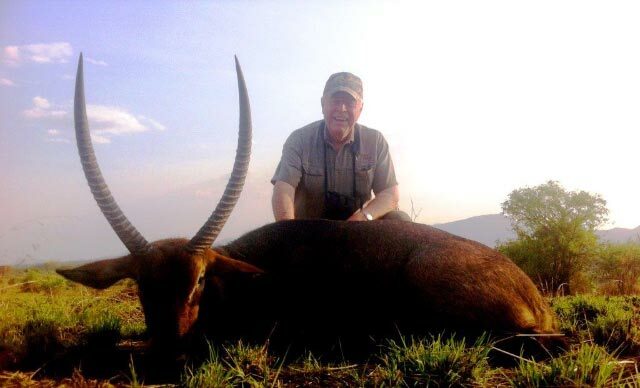 We have a new "button" on our website that lists the dates and venues of the major Hunting Conventions, 2016 - 2020. 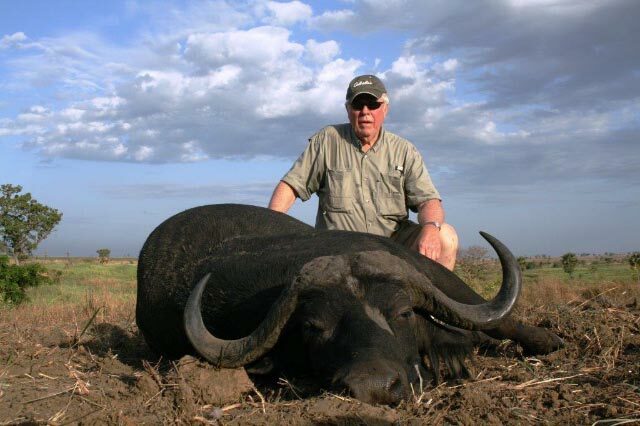 FINALLY, and thankfully, the requirement of obtaining an ITN when traveling outside the U.S. with a gun, as outlined in our April Newsletter, has just been ruled unnecessary (hopefully permanently! ).